Select one of the following time frames or scroll down for a complete list of publications. D.A. Weisblat and W.J. Thompson (2008) Gunther Stent: Obituary. Curr. Biol. 18:R585-R587. D.A. Weisblat, F.Z. Huang and D.E. Isaksen (1999). Cell fate specification in glossiphoniid leech: macromeres, micromeres and proteloblasts. In: Cell Lineage and Cell Fate Determination (S. A. Moody, Ed.) Academic Press, San Diego. pp. 185-196. D.A. Weisblat (1994) The leech. 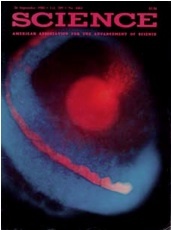 In: Embryos: Color Atlas of Development (J. Baird, Ed.) Wolfe Publishing, London. pp. 93-112. D.A. Weisblat, C.J. Wedeen and R.G. Kostriken (1992) Evolutionary conservation of developmental mechanisms: comparisons of annelids and arthropods. 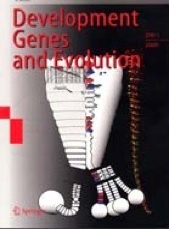 In: Evolutionary Conservation of Developmental Mechanisms (A. Spradling, Ed.) J. Wiley and Sons, Inc., New York. pp. 125-140. D.A. Weisblat, S.H. Astrow, S.T. Bissen, R.K. Ho and Katharine Liu (1989) The role of cytoplasmic factors that affect cleavage in leech embryos. In: Cytoplasmic Information Systems. (G. Malacinski, ed.) McGraw-Hill, New York. pp. 243-261. D.A. Weisblat (1988) Equivalence groups and regulative development. In: From Message to Mind: Directions in Developmental Neurobiology. (S.S. Easter, K.F. Barald and B.M. Carlson, eds.) Sinauer Associates, Inc., Sunderland, Mass. pp. 209-223. R.K. Ho and D.A. Weisblat (1987) Replication of cell lineages by intracellular injection of polyadenylic acid (PolyA) into blastomeres of leech embryos. 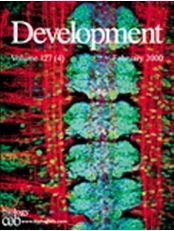 In: Molecular Biology of Invertebrate Development. (J.D. O'Connor, ed.) UCLA Symposia on Molecular and Cellular Biology, New Series, 66:117-131, A.R. Liss, Inc. N.Y.
D.A. Weisblat, S.H. Astrow, S.T. 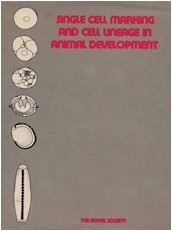 Bissen, R.K. Ho, B. Holton and S.A. Settle (1987) Early events associated with determination of cell fate in leech embryos. 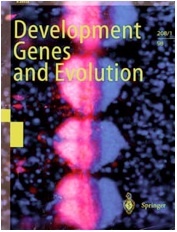 In: 45th Symposium of the Society for Developmental Biology; Genetic Regulation of Development. (W.F. Loomis, ed.) Alan R. Liss, Inc., N.Y. pp265-286. D.A. Weisblat (1987) Leech, nervous system development. In: Encyclopedia of Neuroscience. (G. Adelman, ed.) Birkhauser Boston, Cambridge pp 583-584. S.T. Bissen, R.K. Ho and D.A. Weisblat (1986) Cell interactions in the developing leech embryo. Bioessays 4:152-157. D.A. Weisblat and W.B. Kristan, Jr. (1985) The development of serotonin-containing neurons in the leech. In: Model Neural Networks and Behavior. (A.I. Selverston, ed.) Plenum, New York. D.A. Weisblat, S.S. Blair, A.P. Kramer, D.K. Stuart and G.S. Stent (1984) Cell lineage and cell interaction in the development of the nervous system of the leech. Bioscience 34:313-317. W.B. Kristan, Jr., D.A. Weisblat and T. Radojcic (1984) Development and function in the leech nervous system. 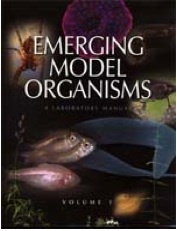 In: Selected Invertebrate Models for Aging Research. (D.H. Mitchell and T.E. Johnson, eds.) CRC Press, Boca Raton. D.A. Weisblat and S.S. Blair (1982). Cell lineage in leech neurogenesis during normal development and after the ablation of identified blastomeres. NRP Bull. 20:783-793. G.S. Stent, D.A. Weisblat, S.S. Blair and S.L. Zackson (1982) Cell lineage in the development of the leech nervous system. In: Neuronal Development. (N.C. Spitzer, ed.) Plenum, New York. G.S. Stent and D.A. Weisblat (1982) The development of a simple nervous system. Sci. Amer. 246(1):136-146. D.A. Weisblat (1981) Cell lineage analysis by intracellular injection of horseradish peroxidase or fluorescent peptide. In: New Approaches in Neurobiology. (D.I. Gottlieb, ed.) Society for Neuroscience Short Course. D.A. Weisblat (1981) Development of the nervous system. In: Neurobiology of the Leech. (K.J. Muller, J.G. Nicholls and G.S. Stent, eds.) Cold Spring Harbor Press, New York. G.S. Stent and D.A. Weisblat (1981) Cell lineage in the development of the leech nervous system. Trends Neurosci. 4:251-255. D.A. Weisblat, W.L. Byerly and R.L. Russell (1976) Ionic mechanisms of electrical activity in somatic muscle of the nematode Ascaris lumbricoides. J. Comp. Physiol. 111:93-113. D.A. Weisblat and R.L. Russell (1976) Propagation of electrical activity in the nerve cord and muscle syncytium of the nematode Ascaris lumbricoides. J. Comp. Physiol. 107:293-307.